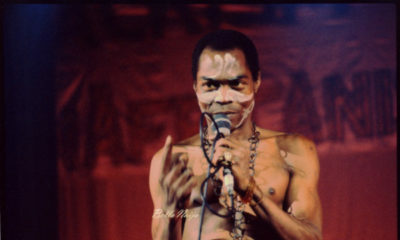 It’s the 20th anniversary of the death of the Afrobeat legend, FELA Anikulapo Kuti and this edition of Felabration is tagged ‘The Prophecy’! 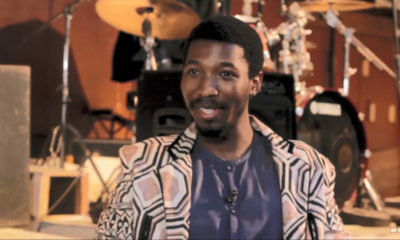 Africa’s fastest growing music streaming and download service, Boomplay Music, has teamed up with Felabration to celebrate and remember ‘Abami Eda’ and once again, launched the #BoomFelabration campaign! 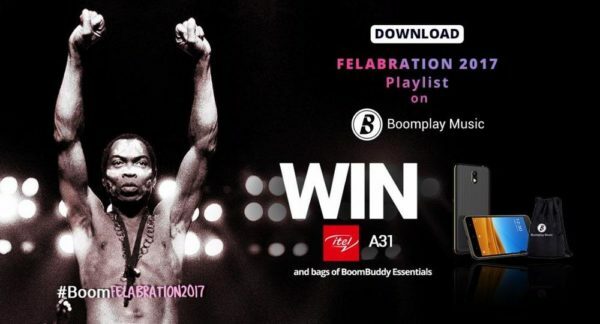 20 lucky winners will win big this Felabration season; 5 winners will win the compact, sleek & user-friendly itel A31 smartphones and 15 others will win bags of BoomBuddy Essentials. 20 lucky winners will be selected at random from the comments section of the playlist in the Boomplay Music app. Verification of playlist download will be done before selecting winners. The playlist must be downloaded within the stipulated start (October 4, 2017) and end date(October 19, 2017).